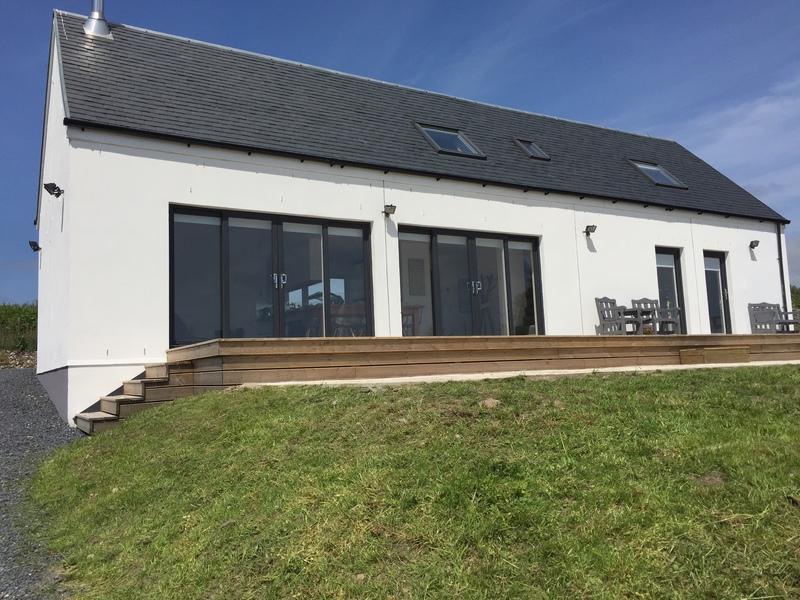 Recently completed, Gartartan provides stylish and contemporary accommodation with stunning sea views towards Kilnaughton Bay, Carraig Fhada Lighthouse, the nearby village of Port Ellen and beyond to the Kintyre peninsula and the County Antrim coast. 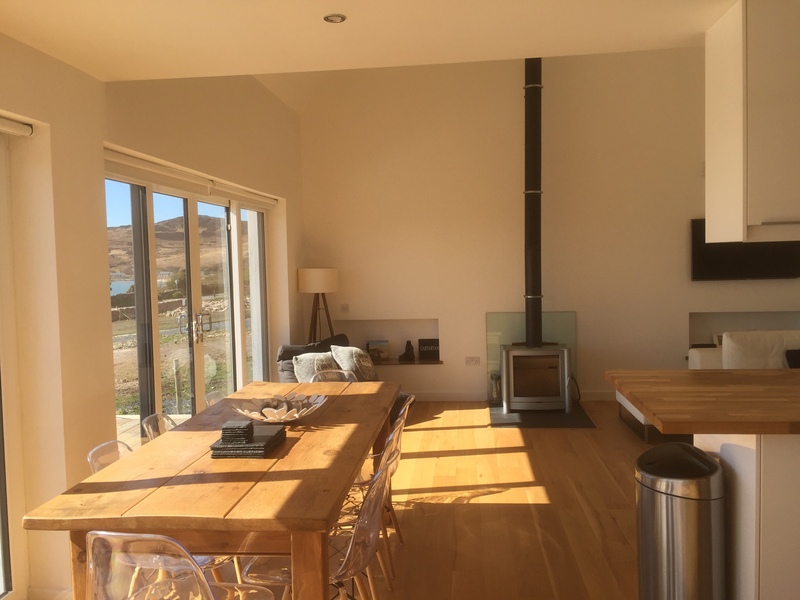 Gartartan is spacious with efficient underfloor heating and insulation systems. The open-plan double height living area has an abundance of light, wooden flooring throughout and a contemporary wood-burning stove. With four double bedrooms and three bathrooms Gartartan accommodates eight comfortably. 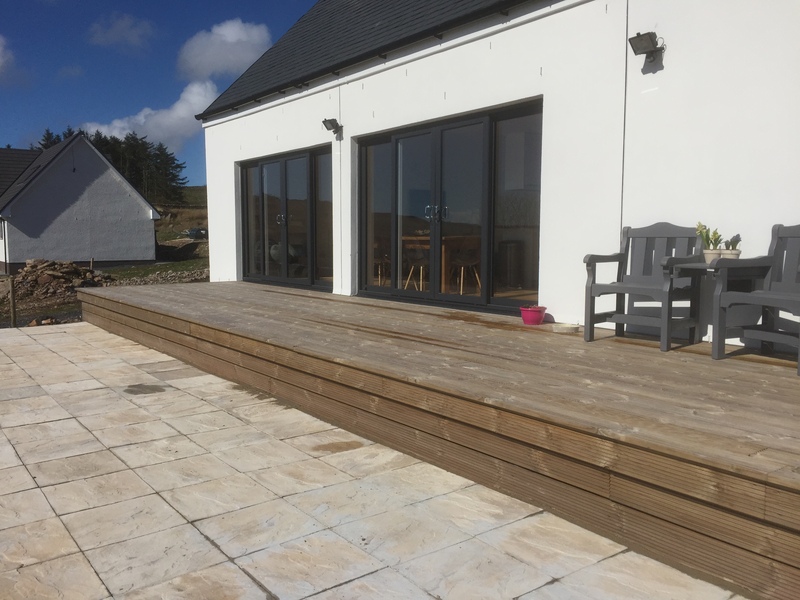 Two sets of double patio doors in the living area open out to south facing decking along the length of the house. 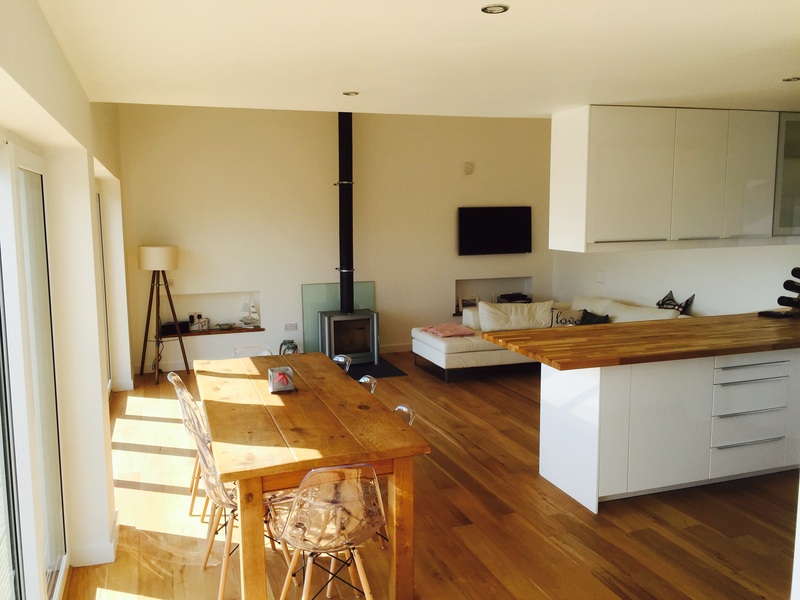 The kitchen is finished to a high standard with gloss white units and contrasting solid oak work areas. 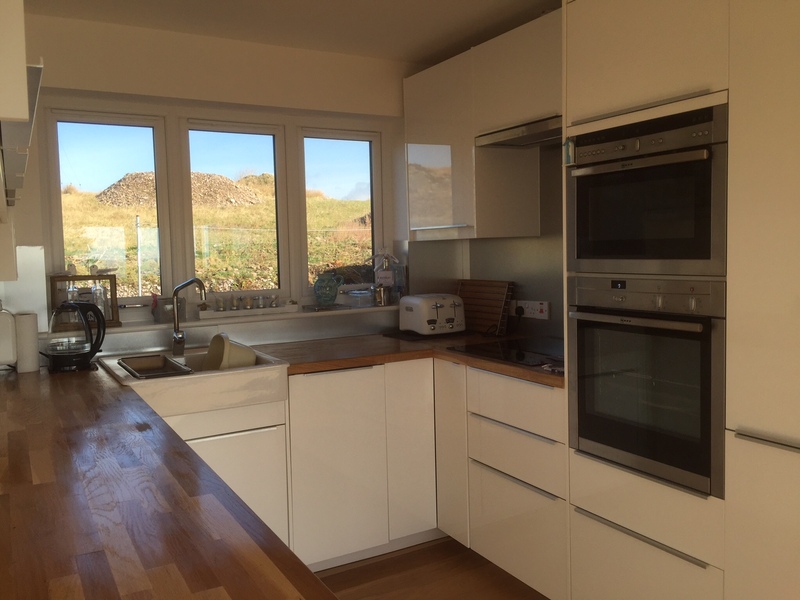 The kitchen has integrated appliances; induction hob, oven, microwave oven, fridge freezer and dishwasher. A separate utility room also provides a washing machine. 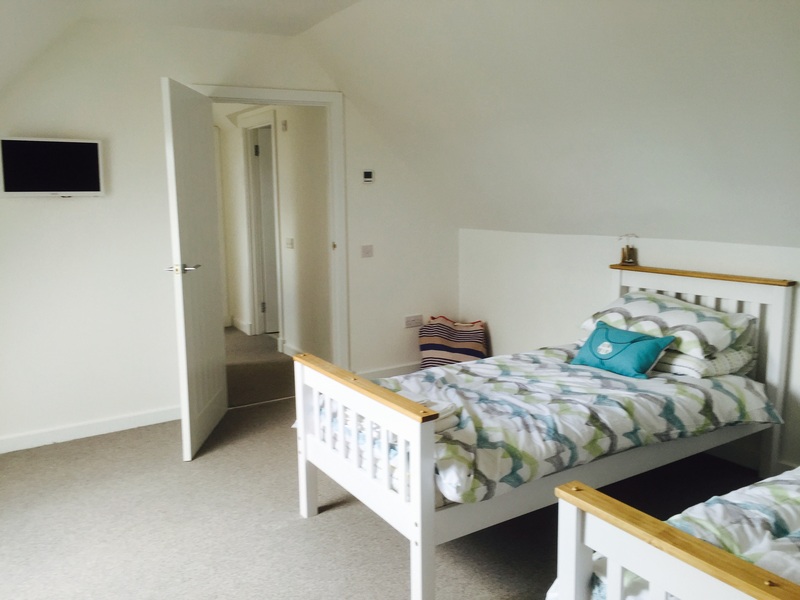 The master bedroom with en-suite wet room is on the ground floor together with a second bedroom which has an adult-size bunk bed. There is also a family bathroom with bath and shower. 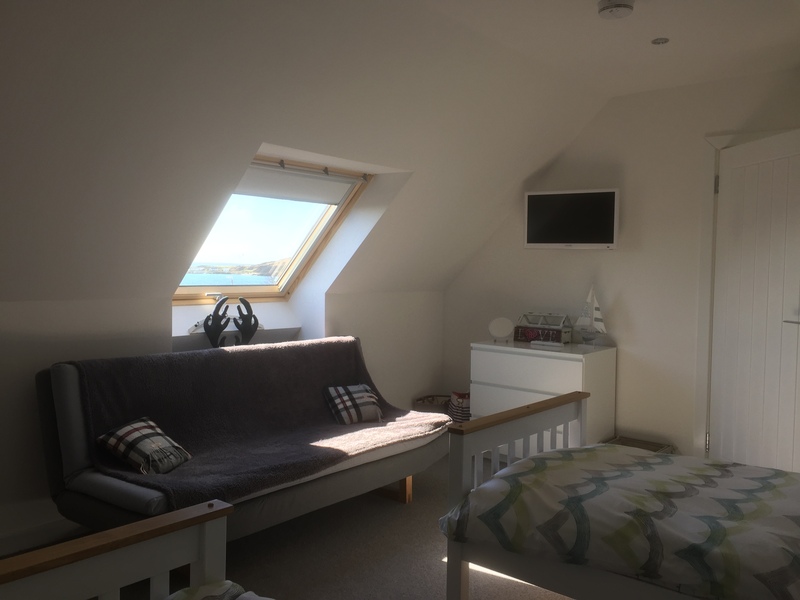 Upstairs there are two large twin bedrooms with uninterrupted sea views. There is a further bathroom with a shower cubicle upstairs. The house is very well-insulated with underfloor heating and hot water provided by Air Source Heat Pump. Each bathroom benefits from full-height heated towel rails. The living room has a wood burning stove. Outside to the front there is a large garden area. There is ample parking to the rear of the house for 3 cars. There is also a shed to the rear which has bikes, golf clubs and kids' boogie boards for use by guests. 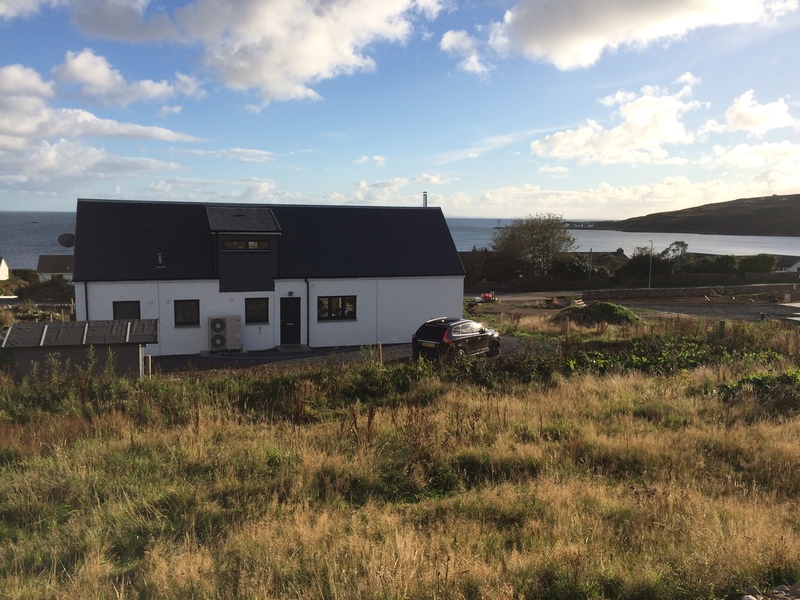 Whilst Islay can be all about outdoors, there is also plenty to do inside. There is a Smart LED TV in the living room, with Sky+ box, DVD player and Wireless Speaker to stream music. 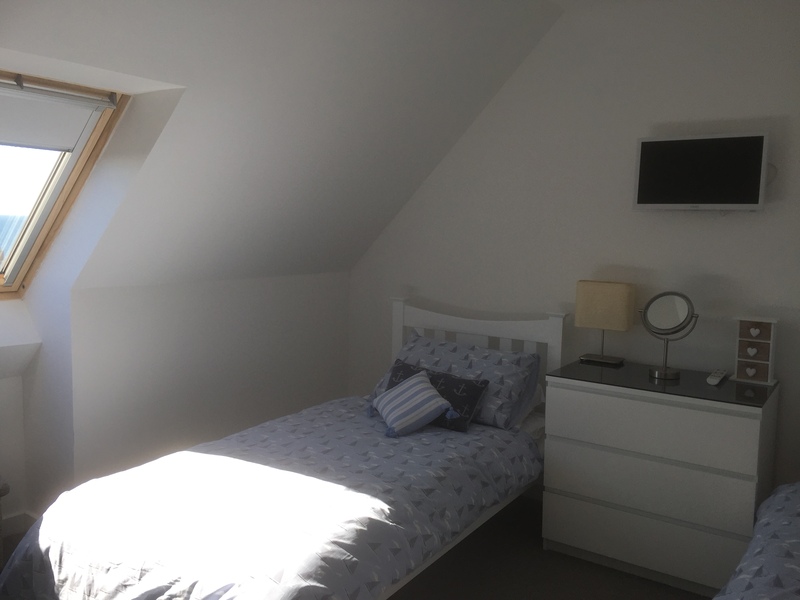 Each bedroom has a Smart LED TV, with the usual apps such as BBC iPlayer, Netflix, Amazon Prime, YouTube, Spotify and social media if keeping in touch is important. The house is CAT5 cabled with BT broadband / WiFi and has additional sound insulation. There is a varied selection of DVDs, books and kids' games too.